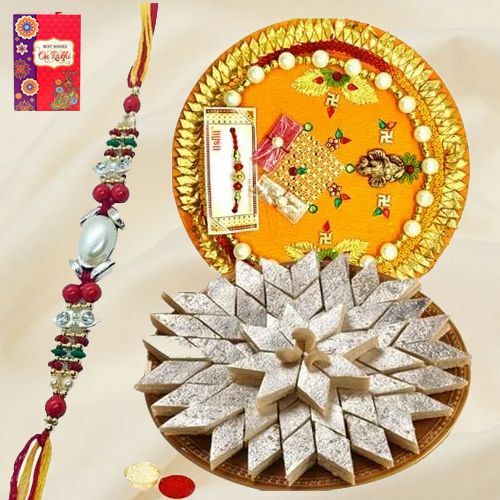 Raksha Bandhan will become more memorable and auspicious when you send this Pious Bites of Splendor Sweets and Raksha Bandhan added with a free Rakhi, Roli Tilak and Chawal. This appealing 7-8 inch. beautifully designed Thali holds 250 gr. Kaju Katli from Haldiram is sure to catch your brother's eye.